Kayla Grahovac, aged 21, grew up in the country outside of Idaho Falls, ID. 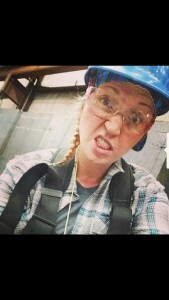 She moved to Florida to go to Tulsa Welding School – Jacksonville campus; she graduated top of her class from the Professional Welder program in June 2015. 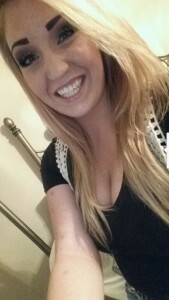 Thanks for your time Kayla; what did you do before coming to TWS? I graduated high school in Idaho at 16 and left pretty much straight after. I traveled with a restaurant for about 2½ years, moving every six months. I spent some time in Wyoming, in Montana; and there was a welding program up in Seattle, WA, that I was interested in, but the reviews of the school didn’t seem to be as positive as Tulsa Welding School. I had family in Florida, so I decided on a whim to move down here in October and I started at TWS in Jacksonville on December 1st. Had you considered welding before? Did you take it in high school? Growing up in a farming community I’d welded just little things here and there, and I took two welding classes in high school. I was good at it, but I didn’t love it! So you didn’t love welding but then went to welding school…Why? The money. I’d always been told to get a trade as that’s where the money is. I’ve always been good at welding; I was really good in high school, but I never thought it would be my career. Now I love it! So what changed to make you love it? When I started at TWS, it was really hard – blood, sweat and tears. I could barely lift tools because I was so weak, my muscles weren’t big. For the first couple of months I was like “Oh no – what have I got myself into?” but I’m a go-getter kind of girl so when I start something I have to finish it. It wasn’t till the third month that I absolutely fell in love with welding. I felt it was my calling, and I got better and better; it was exciting. The mental support I got from mom and dad from a distance also helped a lot. They were very encouraging and helpful; it was sweet because they pretended to kind of know what I was talking about when I’d go into all this welding detail and stuff, even though they probably had no clue! How was it as a young woman in a very male environment at school? It was hard because everybody wanted to see what I was doing, bugging me really. Honestly it was really hard at first; then I got a “No Trespassing – Do Not Enter” sign, hung it up in my booth and just put my hood down for hours a day and practiced. I learned everything I could. I was always under-estimated, and the guys were always trying to compete with me. As a female, you’ve got to leave your feelings at home. What was your favorite part about the welding program, and why? I really liked the instructors, they were wonderful. I also enjoyed the competition. Being a woman I felt I had to get “Top One”, I mean really fight for it. There are ten phases and I got “Top One” twice which was really cool, plus I graduated top of my class. Being a woman in a male field, I felt I had to be the best. I wouldn’t settle for anything less. How long did it take to get work after graduation? I got hired by the National Boiler Service at the school through Phase 11, which is an extra course. NBS is one of the best jobs you can get straight out of school; they only take the best of the best! The test is hard, and I was the first female from TWS to be hired by them. It’s a travel job, so you never know where (or when) you’re going to go. It’s four days here, a week there, three weeks here. It’s good money though; $30 an hour, anything over eight hours is time and a half, plus a $145 per diem. You also get mileage in and out, which was $300 dollars on my last job. My checks after taxes were $3400 a week! What did you do with your first big paycheck? I paid some debts, bought a bedroom set, put a down payment on some more furniture and put the rest in the bank! Not bad for a week’s work! But the work with NBS can be inconsistent. I sat around for a couple of weeks in September waiting for a call, so I joined another staffing company. Now I’m on a three month job in Cartersville, GA, with them. I’ve been out here three weeks. I’ll take January off, do some traveling, and go back to National Boiler in early February when they have more work. With NBS it’s repair and maintenance on existing boilers, but out here I’m doing new construction and maintenance on hot oil pipes, and I’ve welded a bunch of gas lines too. They have me 50 feet up, hanging this way, bending this way. It’s crazy, you can’t be afraid of heights! It’s different, but I really like it. You’re just four months into your career, where do you hope to be in three years? My five year plan was to go back to school and become a welding engineer. I’m interested in that, or becoming a Certified Weld Inspector. I love welding, but eventually I want to make it my hobby rather than my job. I’d like to stay in the field, but as a qualified inspector, a job foreman, or a welding engineer. I’d like to get into more of a management or inspection position. I’ve always been a leader. Probably a welding engineer, going out on jobs in or out of the country, writing my own paycheck. Do you feel that TWS helped you on your way to becoming a specialist? Absolutely. TWS gave me such a good base knowledge of everything, but when you come out you’re still really “green” – that’s what people call me here. Sometimes I still need some direction, but I’m learning something new on every job. 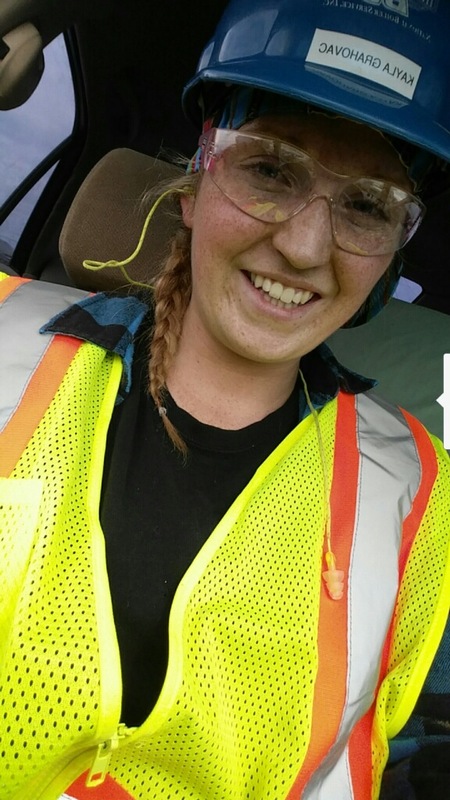 I just can’t wait for the day when I can walk on to a job site with all my own tools, and as a female have everyone underestimate me and then blow their minds with how good I am. I’d definitely say that when I drop my hood, nothing else matters but me and the metal. But when I flip my hood up and see everything put together, and the project up and running, it’s exciting to be a part of it. I never knew that what I took from TWS would help build the world we live in; it just blows my mind. I enjoy the competition too. The competitiveness is still there because every welder welds differently. We all have our own style. A weld is like art, it’s beautiful to me. There are 55 welders out at this jobsite and we all compare welds and look at each other’s stuff. I’m still close with everyone in my class. We talk every week or two and I got a guy a job out here last month. When I go back to TWS to practice, I meet new people. We connect on Facebook, share tricks, tips, advice. So I know guys that graduated three years ago, and I know guys that are still at TWS. It’s like an ongoing network; we all have something to bond over and talk about, and we pick each other’s brains. What advice would you give to students considering attending TWS? I’ve seen people take weld tests and epically fail. If you don’t spend the time and put in the work, you’re not going to succeed. Take every last bit of knowledge you can. You’re going to get out of it what you put into it. If you think you’re going coast through TWS, graduate and get a job, when you get out in the field you’re never going to make it. You’ve got to keep you head down, spend time in your booth and practice. Practice, practice, practice. Hood time is everything. Welding is a craft, an art, and it doesn’t come easy. You have to earn your skill. There are guys who have been welding 15/20 years and they still practice because they know they’re not perfect, you can’t be. Just because you think you know how to do something at TWS, when you get out in the field it’s a whole different story. The more hood time you get, the better you’re going to be, and the better chance you’ll have out in the field. What advice do you have for women out there thinking about welding as a career? Women really have to be on your game. We have to try ten times harder to be the best. You can’t be flirting around with the guys or look weak around them. 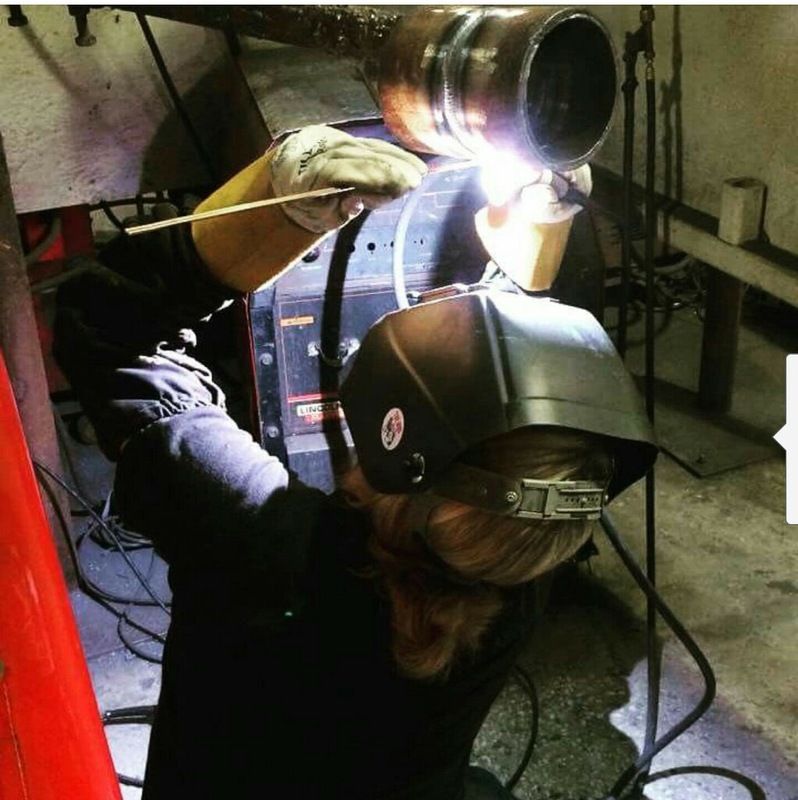 Most people can put down a weld and one or two people will see it; a woman puts down a weld and everybody wants to see it. It’s like game on, you know. Just be professional at school and in the field, because otherwise these guys will eat you up. I go on jobs where there are 500 to 1000 men and five women, so you have to learn to stick up for yourself and chase people off. You have to have a good attitude about it, and try to not let your feelings get hurt. Sounds like you have to be tough then, physically and mentally? I got hurt at work today actually and got my feelings hurt too; I got electrocuted, not just shocked, full on electrocuted. They checked for exit wounds because these shocks can blow your knuckles out. I ended up having to go the hospital. But some guy was like “you’re just faking it because you didn’t want to make that weld.” I went off on him big time! I hate being underestimated. But there are guys out there who’ll help you; some will take you under their wing and teach you tips and tricks, show you everything. And then there are other guys who will bash you… because of their own insecurities I guess. You make it sound hard for women; is it worth it? It is hard, but it’s definitely worth it. I love it. I chase shutdowns with NBS so every job I go on I have new bosses, new crew, new QC, so it’s a never ending battle to prove myself. 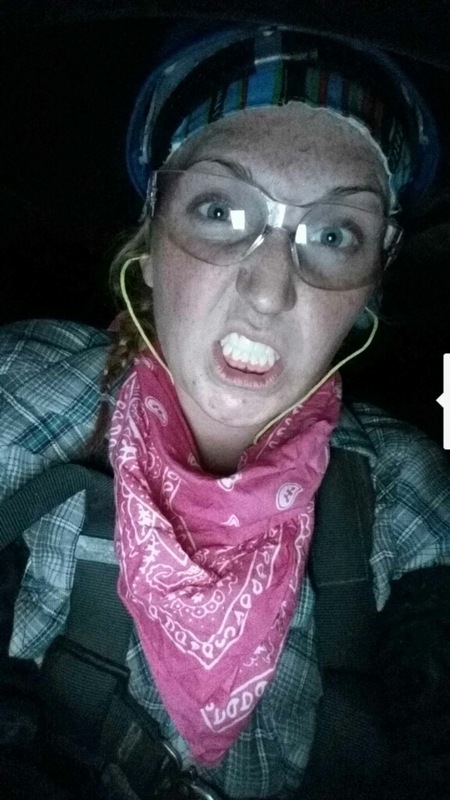 As a woman, if you can’t handle that then get a welding job at one place where you only have to prove yourself the once. But women can’t get discouraged; I’ve worked with three female welders so far and they are way better than any man. If you have the attitude, can adapt to certain situations and take a little bullying, we can take over this workforce! I’m serious! There are guys that have been out here 15 years, and I can already weld better than them! And I’m green, I’m still really new! Most women have better attention to detail, they are perfectionists, and we’re smaller. 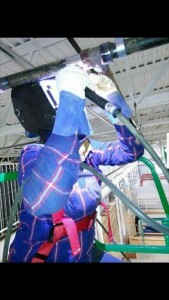 I always get the tight welds. They send me in to the tightest, smallest holes to weld. That’s where I got electrocuted today, but I’m okay. I’m back at work tomorrow. You always get baby shocks, but I’ve never been shocked like that before. Like being struck by lightning! Ouch! What do you do for fun? I snowboard and I long board depending on where I am in the country. And I travel a lot. I got home from a job in Alabama and I had all that money in the bank, so I packed a bag and went to Key West by myself for 10 days and had the time of my life! Surfing, snorkeling, I did it all! Buy a rig truck. What else? I don’t know…but I’m going to have that much money one day so I’ll let you know then! Football or baseball? Football – Seattle Seahawks all day! Ford or Chevy? Big, black, lifted and all chrome! It’s on my shopping list; I’ll have one within a year! My tool box has quadrupled since I’ve been out here, and I have to have all my tools with me. That’s why I’m getting a truck, I’m not really a truck person, but I need a big beautiful Chevy to carry my tools. Win the lottery or find a perfect job? The lottery all day! The thing about welding is that no matter what job I go on, I’m going to love it. So there’s no such thing as a perfect job, because I kind of already have it. Winning the lottery means I can just weld for the love of it!